This video was shot at the home of Bill Webb in Kansas City, Missouri, in May, 1995. It shows construction and operating details of a self-contained machine suitable for making rifle barrels for yourself and friends. As Bill mentions in his initial comments, a machine like his is not suitable for commercial barrel making - it is simply too slow for that. But it is well adapted for making barrels for your own use. The machine will drill, ream and rifle a barrel from the solid bar. If you build one, and learn the necessary skills, you should be able to make match grade benchrest barrels on it. 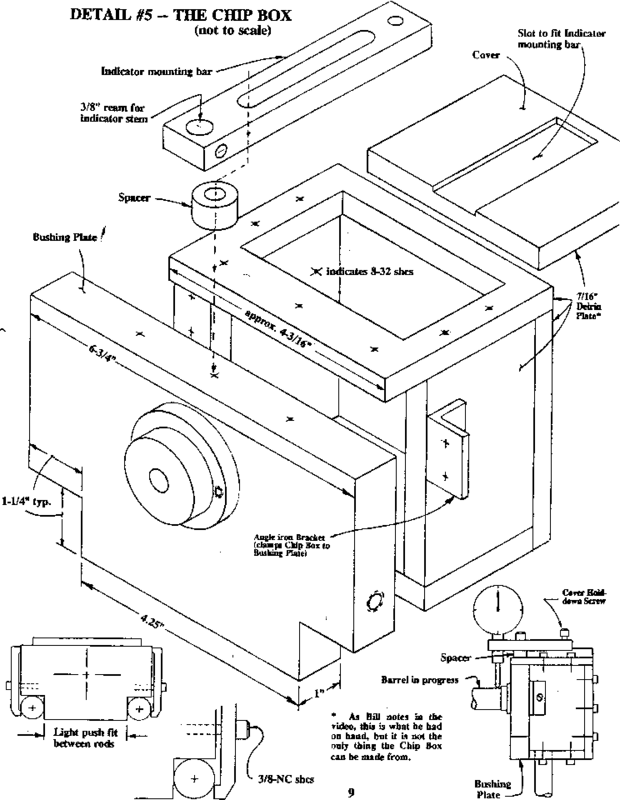 Careful study of the video and this written supplement which accompanies it should enable any interested machinist to build a similar machine, incorporating certain significant improvements that Bill will point out.